When you build a new multibillion-dollar stadium for an NFL franchise, you probably want to make sure that advertisers are paying for their name on or in the building, not just near it. And you probably want to ensure that those advertisers who do pay for their name on the building aren’t being overshadowed by the neighbors. Which is why the Minnesota Vikings are suing Wells Fargo. The team is currently in-construction on a new stadium set to debut at the beginning of the 2016 NFL season. 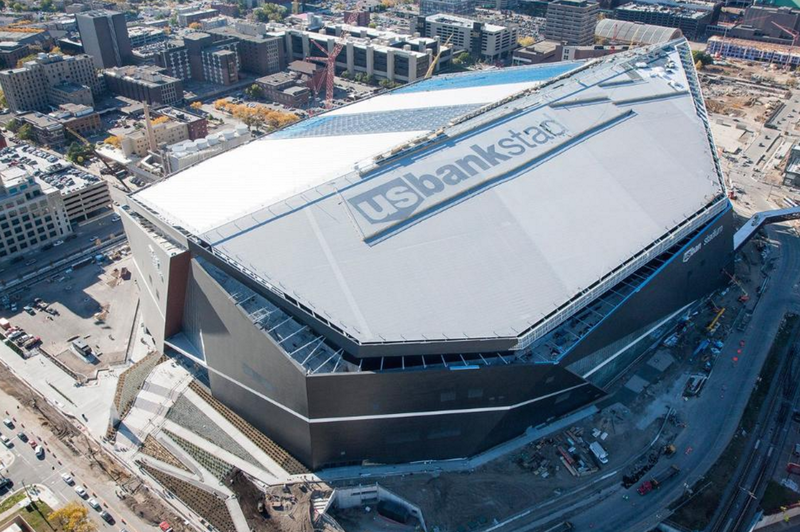 U.S. Bank has already agreed to fork out hundreds of millions of dollars to have its name on the venue for the next decade. 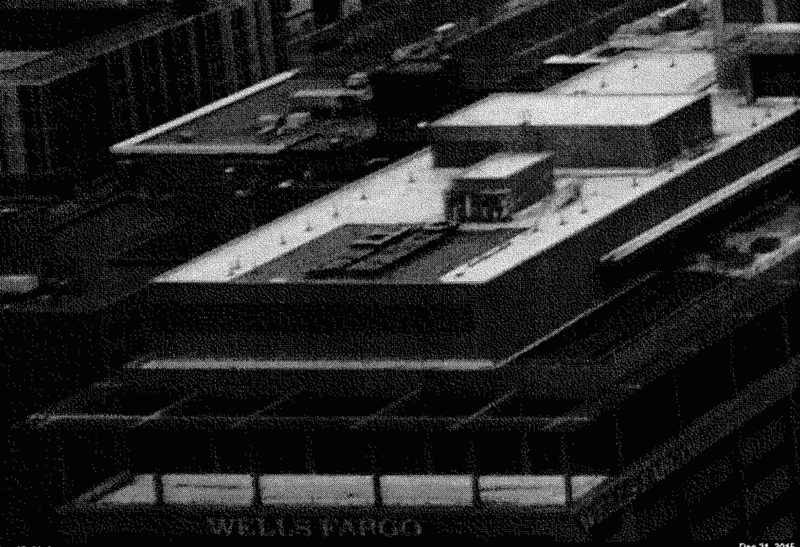 Now the team — more precisely Minnesota Vikings Football Stadium LLC — is accusing Wells Fargo of trying to leach off the notoriety of the new venue by erecting large, illuminated Wells Fargo signs on the roofs of two nearby towers. The suit alleges the the team made specific deals with Wells regarding a pair of two 17-story towers the bank is constructing immediately adjacent to the stadium. According to the complaint, the parties agreed that the bank could put roof top signs on those buildings but only if they were “non-mounted” and were not illuminated. Originally, the two Wells towers would have flat logos painted flat on their roofs. These could be seen in aerial shots of the stadium, but would not be visible in most ground-level exterior images. Then, according to the lawsuit, those flat-painted logos became raised and illuminated lettering. Still primarily only visible in aerial images of the stadium, but an alleged violation of the signage agreement. The purpose of these signs is to “photo bomb” the stadium, which will be the subject of any number of aerial exterior shots during upcoming Vikings game — not to mention Super Bowl LII in Feb. 2018. The lawsuit claims breach of contract, and seeks an injunction against the team installing or maintaining the signs in question. Additionally, the team is asking the court to rescind Wells Fargo’s rights to place any roof top signs on the two towers.